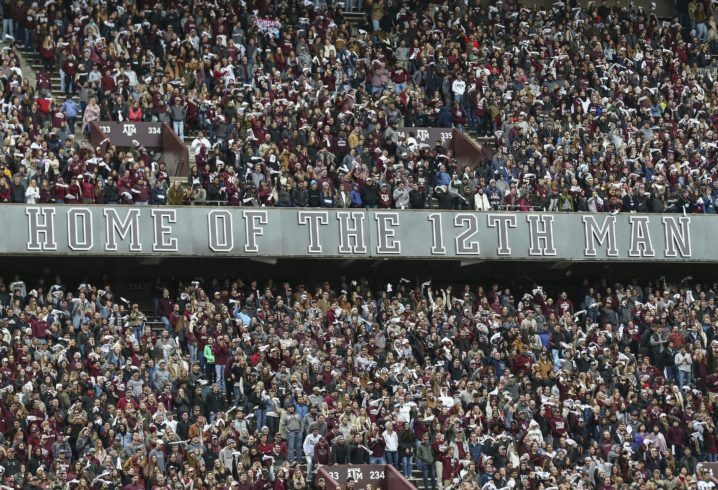 Texas A&M has long had a special relationship with the Bush family, and considered President George H.W. Bush a friend. 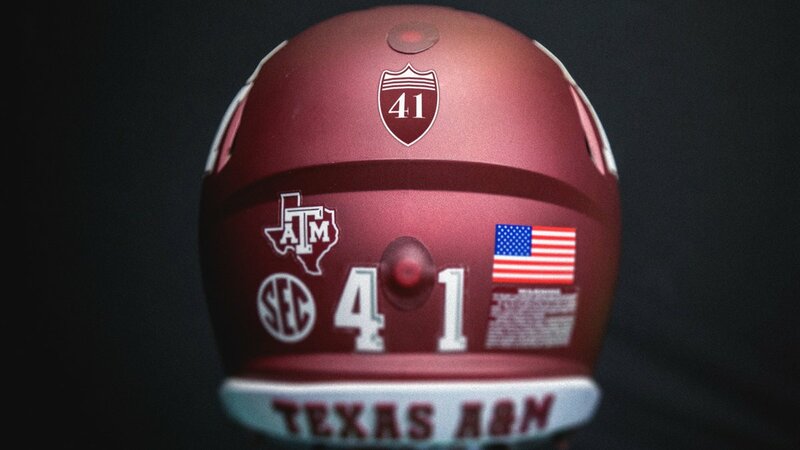 To honor Bush’s memory, the Aggies have announced a tribute patch and helmet decal to be worn the rest of the 2018-19 athletic season. 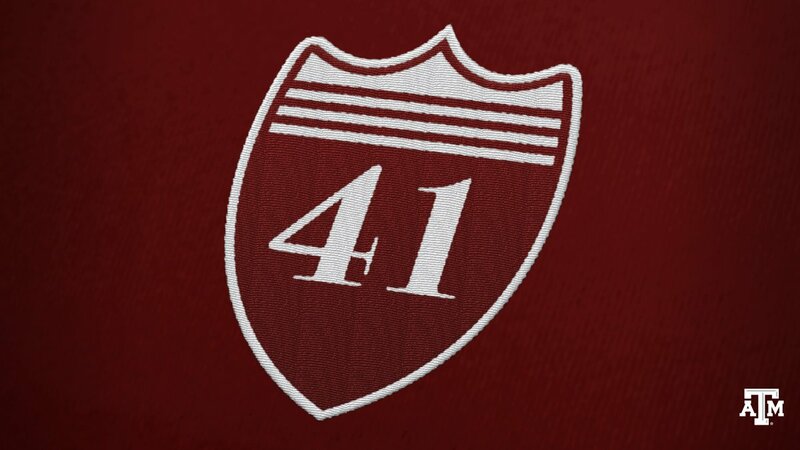 The tribute patch artwork is representative of the shield element from the official President Bush 41 logo. 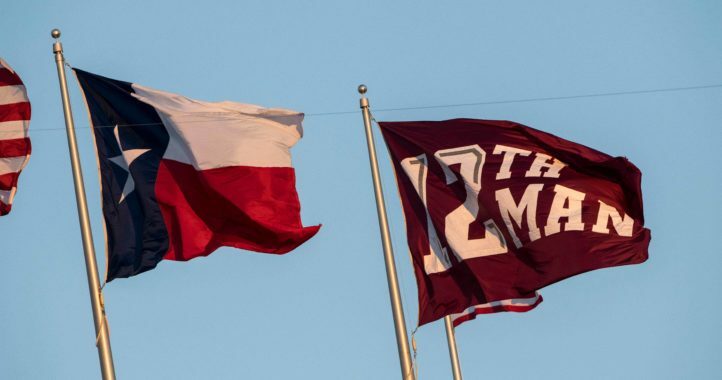 Approved by the Bush family, the patch will incorporate Texas A&M University’s official colors of maroon and white to celebrate President Bush’s life and service. The football team will wear the design as a helmet decal for its appearance in the TaxSlayer.com Gator Bowl on Dec. 31, while both Aggie basketball teams will wear the uniform patches after Thursday’s interment services. 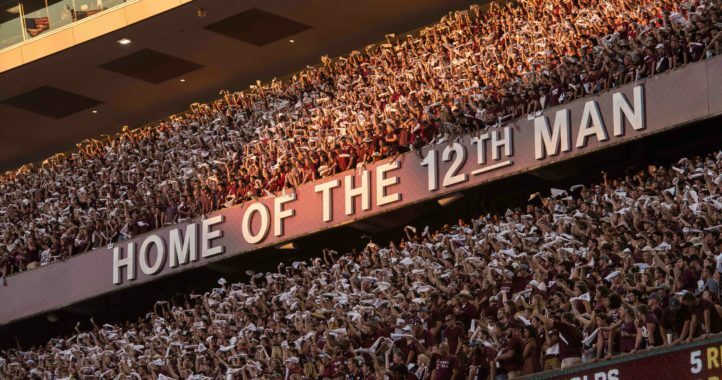 On Thursday, his casket will be taken by train from Houston to College Station. First president since Eisenhower to be taken to their final resting place by train. Union Pacific has donated the engine. It’s painted Air Force One colors and says “George Bush 41” on the side. It’s engine #4141. Very cool looking. The day of Mrs. Bush’s funeral was an incredible day here in CS, I can only imagine how it will be this time around. Say what you want about the Bush family, but they are the most incredibly down to earth people you’d ever want to meet. Bush Sr,Jr, and their wives all treated everyone here like family whenever they were in town. What a sad person you are. Tried to come up with something more eloquent and fitting than your comment, but I think you nailed it. Psychological projection at it’s finest… take a long look in the mirror Robzmeister…. You must have been born in the last 18 years. lol You are extremely misinformed.